Comparing contractor quotes is an important step in the journey to increase the value of your home with solar panels. A recent Modernize survey revealed 63 percent of homeowners compare three to four contractor estimates ahead of a home improvement project. 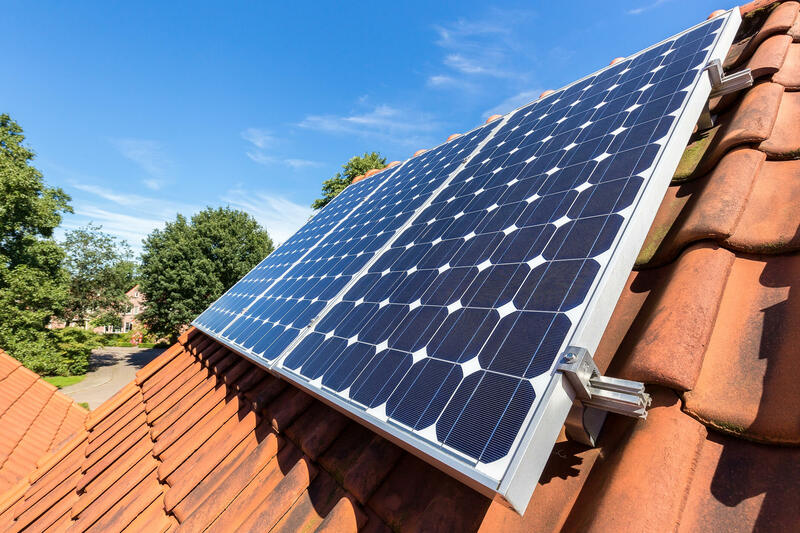 Evaluating multiple solar panel quotes helps homeowners scope their budget and encourages contractors to be competitive with their pricing, which is especially significant in today’s solar energy market. It’s important to understand your project’s unique parameters and why quotes may differ from each other. The terminology used with your solar paneling project is important. You may receive solar panel quotes, estimates, or bids from local contractors, but these contain different sets of information. Find solar contractors in your area. Solar panel quotes, or bids, become contracts once they are signed. This should be a very detailed document that outlines all aspects of the project. At Modernize, we pair homeowners with contractors that offer free solar panel quotes for the project. Once you have received multiple quotes, it’s important to carefully consider each. Your project quote should be transparent, thorough, and even lengthy— depending on what it will take to install solar panels for your home. Every detail of the project should be noted, including the cost of materials, start and finish dates, and hourly rate. Your quote should also include factors like disposal/dumpsters (if you are re-roofing a portion of your roof, for example) or perhaps permits, and even port-a-potties. Labor should also be included in your quote. Investing in solar panels for homes adds substantial value to a house. Additionally, an investment in solar is unique in that solar panel installation normally entails financing. In recent surveys of homeowners who upgraded by powering their homes with solar energy, Modernize found every single one financed the installation. While the majority of homeowners we spoke to took out a personal loan to cover costs, some financed the work through a solar energy contractor. Whatever your choice, you should consider options. If one of those options is your contractor, be sure their quote includes all applicable details. The cost of solar installation has dropped more than 70 percent since 2010, according to data from the Solar Energy Industries Association, a solar enterprise advocate. SEIA sets the national average at $17,000 (“before incentives”) for an average-sized residential solar panel system. Ideally, your solar panel quotes will be very similar to each other, but sometimes bids will be different. Extremely low bids can be the sign of a scam—and extremely high bids could be just as concerning. It’s important to understand why an estimate or quote is extremely high or low. Solar panels can vary drastically in price. These disparities could be due to the type of panels—whether composed of polycrystalline cells monocrystalline cells, for example. We encourage homeowners to research the types of solar panels for homes that are best for them, based on price range, roof space, and access to sunlight, among other factors. Solar panel systems can also vary in price depending on hardware other than the panels themselves. For example, your project will likely require one of three basic kinds of solar power inverters: power optimizers, microinverters, and central or string inverters (the latter being the most commonly found in residential solar energy systems). Learn more about solar inverters here. Another variable in pricing is how your solar panels will be mounted. Research your solar panel mounting options and discuss the best choice for your home with your contractor. Research and be aware of hidden costs— like permits and potential fines. Your quote should include a proper breakdown of how local, state, and federal policy applies to you and what your contractor will or will not do in that regard. Look for approval processes from local, state, and federal authorities or jurisdictions, if applicable—permit application fees and post-installation inspections could be required. Look for the tentative approval process from your existing utility company, including the coordination and preparation of a net metering agreement. Find reliable solar installers today. If a contractor doesn’t have a solid grasp of local policies or applicable local, regional, and federal incentives—like the Residential Renewable Energy Tax Credit, which applies to up to 30 percent of your installation—they may leave that to you and subsequently lower their fees since they have less paperwork to worry about. 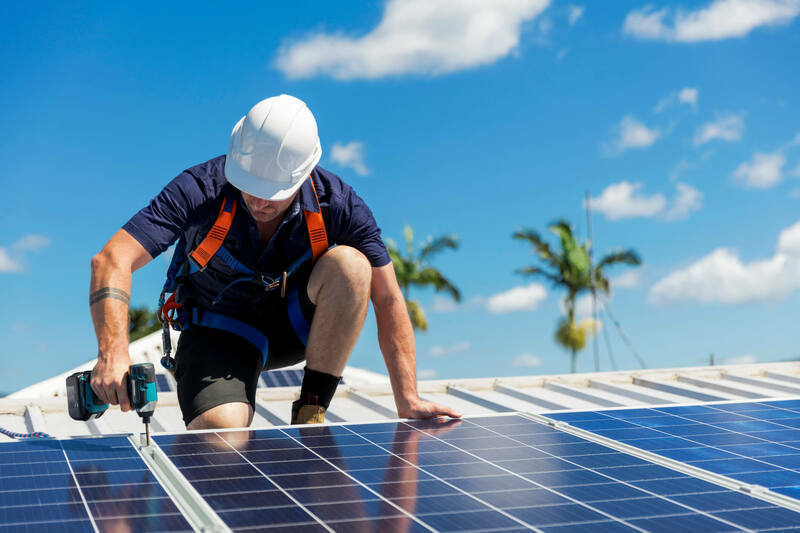 While a contractor may charge you for help navigating solar energy bureaucracy, a good contractor will assure your solar compliance and maximize your return on investment utilizing expertise you may lack. For both high and low bids, always check your solar panel quotes for errors. Contractors are human and, while rare, errors can happen. Communicate any and all questions and concerns with your contractors. If something feels off about a contractor or business— go with your gut. To help homeowners easily vet and find a trusted solar energy contractor, Modernize recently created a free contractor checklist. You can access the interactive checklist by visiting the Modernize Homeowner Portal or by downloading it here. Lastly, keep all estimates, quotes, and contracts in a folder, so you can reference these details easily if you have any questions or concerns throughout your solar panel installation. Begin your solar panel project today!